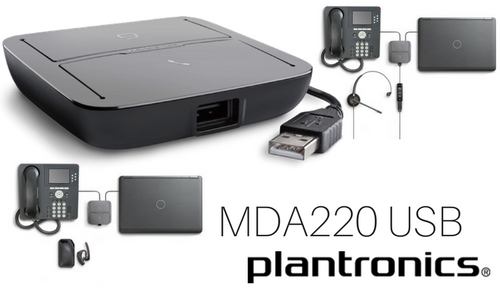 Blog: MDA220 USB | Avcomm Solutions, Inc.
With the introduction of the MDA200, Plantronics asserted itself as a leader in Unified Communications for hardware solutions. 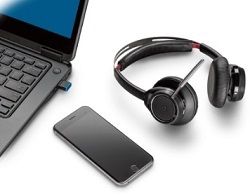 The device, and its sister, the MDA100 QD, are complementary audio switchers that function with a variety of headsets to ensure smooth communication, whether it's on your desk phone, soft phone, and even smartphone! 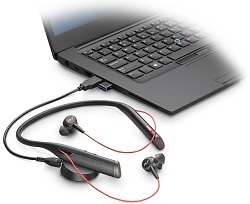 Plantronics has replaced the MDA200 with the new MDA220 USB, which features improved echo cancellation and enhanced headset compatibility. Our testing of the MDA220 USB found that the device is pretty much the best thing since sliced bread! This device enables corded USB headsets and UC-enabled Bluetooth headsets (those with USB dongles) to be used with a desk phone and gives the user the option of switching between the desk phone and computer. 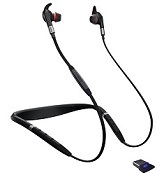 When using a Bluetooth headset with the MDA220 USB, it allows for triple connection to your smartphone, desk phone and computer. 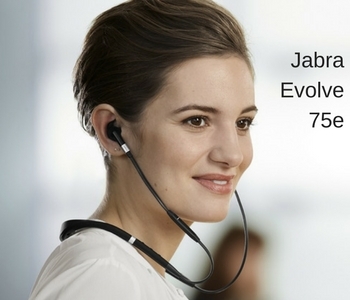 It’s ideal for Unified Communications environments where desk phones are still present. 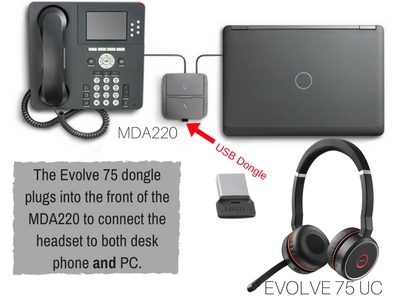 And, what we really love about the MDA220 USB is that is now gives us the ability to use an active noise cancelling headset with our desk phone. As office designs are quickly converting to open floor plans, we have received many inquiries from customers who are looking for a desk phone compatible headset that will provide active noise cancellation in the speakers. 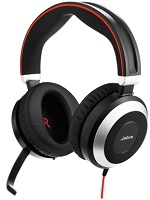 While Plantronics and Jabra both offer ANC headsets, they are strictly USB connection and unless you have an MDA220 USB, you won’t be able to use them with your desk phone. 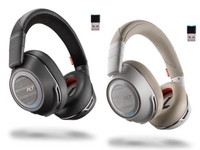 We did thorough testing with several headsets, and did not need to stay within the Plantronics brand. As a disclaimer, Plantronics only guarantees the use of the MDA220 USB with a specific list of headsets that is continually updated. 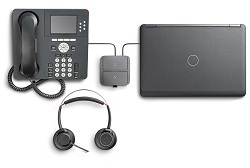 The MDA100 QD is used with corded Quick Disconnect headsets and enables the user to toggle back and forth from USB to desk phone. There is a Mute button at the top of the MDA100 QD. When the mute is activated, the button is depressed and the area surrounding the button is red. Release the button and the mute is turned off. 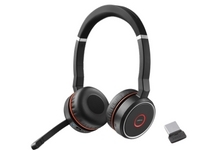 Plantronics recommends this product for customer service centers who are transitioning from desk phones to softphones and unified communications (UC), and require users to manage audio from two sources with a single headset. 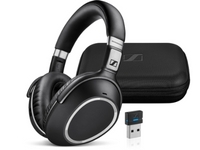 The MDA220 USB and MDA100 QD audio switching devices utilize the headsets you already have in place and connect them to audio endpoints for the best use of your resources. Interested in learning more about the MDA family? Contact us!